Home » Nutrition » Does Nutrient Stability Apply to Your Food Product? You may have heard the phrase “nutrient stability” before, but do you know what it means and how it applies to your products? Nutrient stability refers to the length of time a nutrient remains in a food product at a desired level. If you are declaring nutrients on your product’s label, then you need to understand the stability of your product’s nutrients. This applies to a plethora of product categories including, but not limited to, pet food, beverages, adult food products, infant formula, toddler food and supplements. According to the FDA, there are two nutrient classes: Class I and II. Class I nutrients include vitamins, minerals, protein, dietary fiber or potassium added to fortified or fabricated foods. These nutrients must be present at 100% or more of the value declared on the label for the duration of a product’s shelf life. For example, if Vitamin D is added to a fortified product and the label states that Vitamin D is present at 10% of the Daily Value (DV), the laboratory tested value must equal at least 2 mcg of Vitamin D per serving. This amount is 10% of the 20 mcg Daily Value in the new regulations and updated Daily Values. Class II nutrients include vitamins, minerals, protein, total carbohydrates, dietary fiber, other carbohydrates, polyunsaturated and monounsaturated fat or potassium that occur naturally in a food product. Class II nutrients must be present at 80% or more of the value declared on the label. When designing a nutrient shelf life study, your laboratory partner should evaluate your product to determine nutrients that are most susceptible to degradation during storage to include the appropriate testing in the study design. Different characteristics of your product, packaging, formulation, acidity and storage conditions can affect the stability of nutrients in your products. For example, the sensitivity of Vitamins A and D increases if your packaging does not have a good barrier to light penetration. Mérieux NutriSciences’ Silliker Food Science Center in Crete, IL recently ran a Research & Development (R&D) study for a company that wanted to test a new packaging material for their dairy beverage product. During the study, we evaluated not only the microbial spoilage and off flavor but also addressed the effect of LED light exposure to Vitamin A degradation. This study helped the company determine if changing their packaging materials would be an effective means to extend their product’s shelf life. Nutrient stability and shelf life studies play an important role during the R&D and product development stages. Some studies compare formulations and packaging material to determine which provide the longest shelf life, and others focus on lowering the overages of a nutrient added to a product to reduce the cost to the manufacturer. Accelerated studies on shelf-stable products offer another route to meet R&D objectives. In an accelerated study, the product is typically held at a higher temperature to increase the rate of degradation. According to nutrient shelf life stability guidelines for supplements, the recommended storage conditions are 25°C ± 1°C (60% Relative Humidity ± 5% Relative Humidity) and 40°C ± 1°C (75% Relative Humidity ± 5% Relative Humidity). Most commonly, beverages, food and pet food products are held in increments of 10°C from the normal temperature, for example, 25ºC, 35ºC, 45ºC. It is assumed that with every 10°C rise in temperature, the study will be completed in half the time. It is highly recommended to carry out a normal storage study alongside the accelerated study or to carry out the study at multiple storage temperatures. The data is then used to fine-tune the acceleration factor, which can further be applied to similar products. This approach to the study decreases the time for completion, but also introduces some risk by assuming other chemical reactions are not occurring within the product at the elevated temperatures. Ultimately, whether you need to conduct a real-time or accelerated study to support your label claims or R&D study, Mérieux NutriSciences can assist your endeavors through a research study that is designed and managed by a dedicated team of chemists. When designing a nutrient shelf life study, our team will work with you to evaluate your product and base it on the nutrients in your product that are susceptible to degradation during storage. Our experts will work with you from the product development stage through finished product monitoring to ensure continued quality. From now until the end of May, when you conduct a nutrient shelf life study through the Food Science Center, we will also provide a complimentary Nutritional Facts Panel. Download our information sheet to get started today! 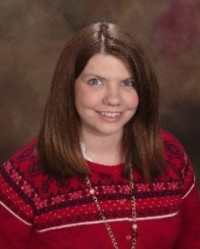 Katherine has been with Mérieux NutriSciences for five years and is currently a Research Services Sales Coordinator for the Food Science Center. She focuses primarily on working with contract research for the shelf life, process validation, method validation, molecular and challenge study programs. 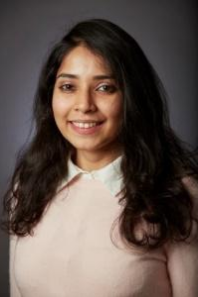 Upasana has been with Mérieux NutriSciences for three years and leads shelf life, challenge study and method validation contract research projects at the Food Science Center. PDCAAS – What’s This All About?